Good evening all and TGIF! 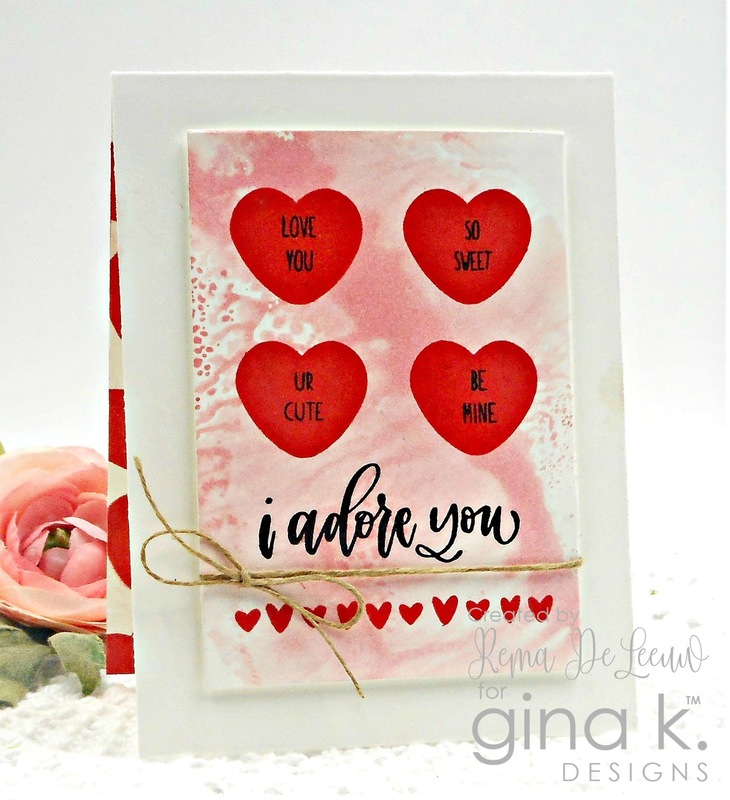 Today I am playing along in the Monthly Mix Challenge over at the Gina K. Designs blog. Karen is hosting this month and she challenges you to create a card using this year's pantone color of the year which happens to be "coral". My card features the newly released set All You need is Love illustrated by Emily Loggans. This set has been the one I have been reaching for lately for all my Valentine cards this year. I just love it! Beautiful but then from you I expect nothing less.